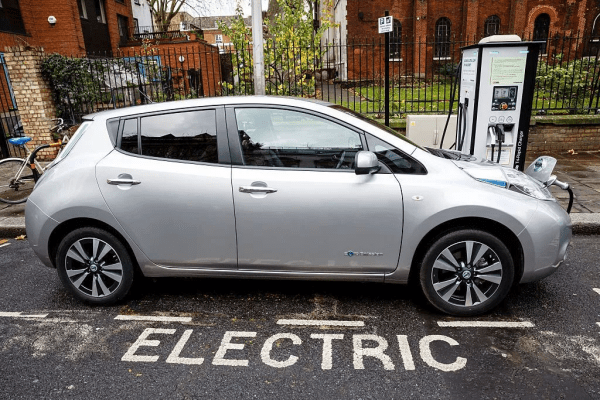 Batteries have been getting smaller and cheaper so much faster than expected that the experts at Bloomberg NEF (BNEF) have had to revise their own projections for electric vehicles every year. BNEF projected in 2017 that “the crossover point when electric vehicles will be cheaper upfront than a combustion vehicle” would be 2026 (nine years), BNEF energy analyst Nathaniel Bullard tweeted last week. But things have changed quickly since then and the timeframe has narrowed significantly: in 2018, it was 2024 (six years), and now, in 2019, BNEF projects the crossover point will be 2022 — just three years away. That’s because EVs are already superior to gasoline cars in many key respects: they have faster acceleration, much lower maintenance costs, zero tail-pipe emissions, and a much lower per-mile fueling cost than petrol cars , even when running on carbon-free fuel. 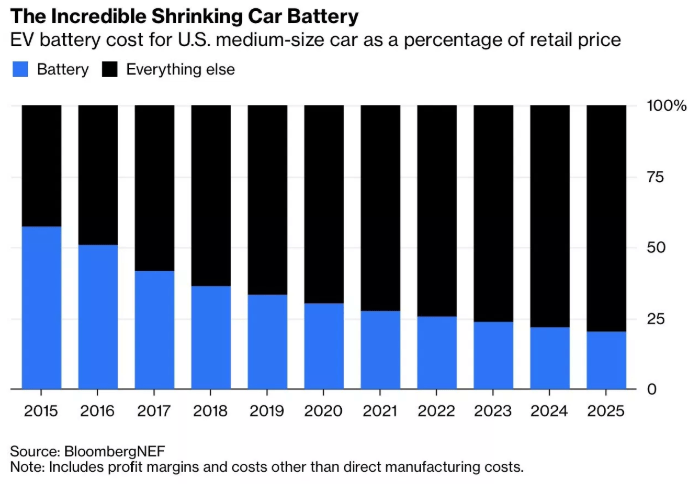 Bullard explains in a Bloomberg article that this crossover will start in 2022 for large vehicles in Europe, but quickly spread to smaller vehicles and other parts of the world as battery prices continue to plummet. Indeed, he notes that as recently as 2015, batteries were 57% of the cost of a U.S. medium-sized car. Today that is down to 33%, and by 2025, batteries will be a mere 20% of total EV cost (see chart). THE BATTERIES’ SHARE OF AN EV COST. (Click to enlarge.) 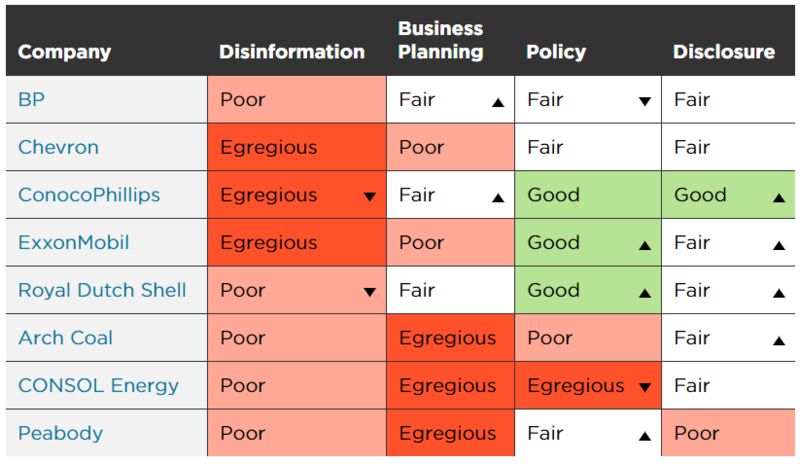 CREDIT: BNEF. Moreover, BNEF notes that other key parts of EVs — such as the electric powertrain — are also starting to see price drops, since “large-volume manufacturing is only now beginning for such parts.” Over the next decade, key components like motors and power electronics could become as much as 30% cheaper than they are today. As battery performance and price improve, EVs are getting longer and longer ranges — some as much as 500 miles — and the charging time is dropping rapidly. Already, superfast chargers can charge an EV in as little as 20 minutes, and new chargers can cut that time in half. Next-generation batteries may be chargeable in three to five minutes. As Wall Street Journal auto columnist Dan Neil explained in late December, dirty, inefficient internal-combustion (IC) engine vehicles are becoming a very risky bet. For all these reasons, expect the EV revolution to keep its foot on the accelerator.